With laser spectroscopy, a high-energy laser pulse is radiated at the sample. Aluminium plays a key role in mobility. One of the main reasons for this is that more and more vehicle bodies are made of aluminium. The Ford F-150 pickup and the Jaguar XE are just two prominent examples of this trend towards automobiles containing large amounts of aluminium. It’s obvious that this development increases the demand for high-quality aluminium. At the same time, up to 50% of the material used in the stamping processes common in mass production operations was wasted because there was no way of separating the production waste for recycling. This situation has now changed, because the STEINERT LSS (Laser Sorting System) enables alloys to be cleanly separated from one another. 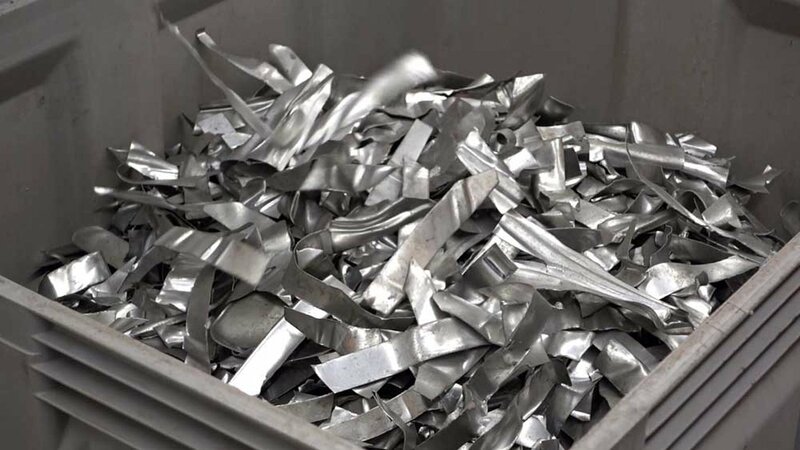 When sorting stamping waste of 5xxx series and 6xxx series alloys, the first step consists of isolating the pieces in the mixture of crushed materials so that it can be handled by a sensor-based sorting system. 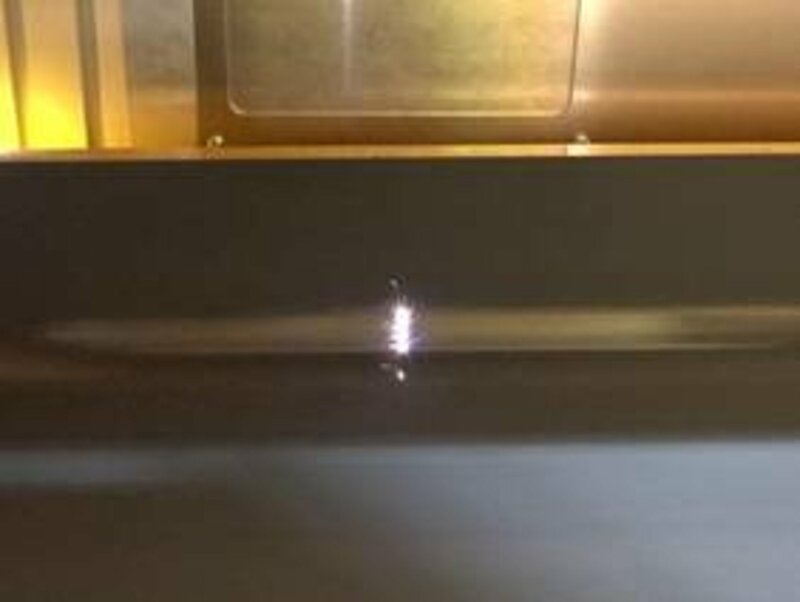 “For this system we have created a setup consisting of several conveyor channels and conveyor belts, which ensures that the material always flows past the laser in such a way that the laser pulses hit the material’s surface. These pulses vaporise tiny particles of the material. 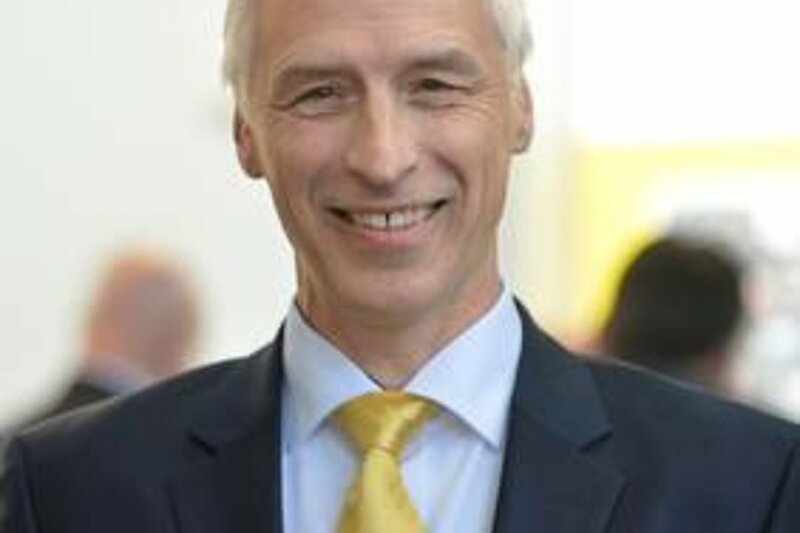 This process creates visible light that is simultaneously recorded and analysed in order to identify the alloy and its individual components as well as their percentages in the alloy,” says Habich. The sorting process takes place at high conveyor speeds of 2 to 3 m/sec. The calibration methods stored in the measuring unit routinely analyse the concentrations of the alloying elements Cu, Fe, Mg, Mn, Si, Zn and Cr. 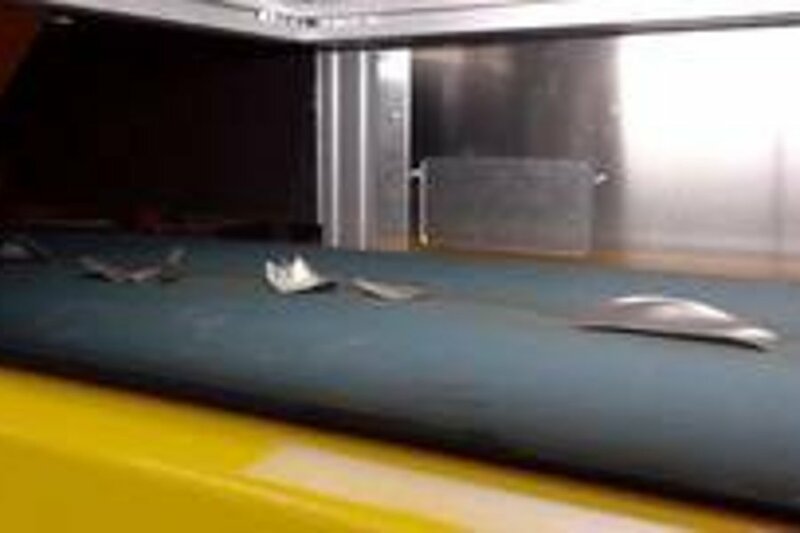 In each case the alloy or aluminium fraction identified by laser is separated off, for example a 6xxx alloy, while the rest of the material on the conveyor belt passes farther on. “Test runs in our laboratory achieve a separation success ratio of 90 percent purity of 99 percent,” says Habich. In the tests, unsorted 5xxx and 6xxx alloys were used – supplied by a rolling plant which recovers the material mix from an automobile plant that normally melts it directly. Inasmuch as the unit is not operating at its capacity limits, in a second sorting pass all the unidentified material can be brought into focus and separated off, so that then there are two pure aluminium fractions and a residue fraction. “On the other hand, after the first pass the quantities remaining are certainly not waste, but can be sold on at the normal scrap price, only without extra premium charges,” he continues. One might think that the alloy scrap could be separated directly in the stamping plants – following a motto such as: ‘The 5000s into the blue container and the 6000s into the red one’. Yet, it must be borne in mind that in stamping plants several presses are in use, which are occupied flexibly for different products and alloys. The total quantities of scrap generated from different alloys can logistically hardly be removed separately. Usually, behind the presses there are clearing conveyors for scrap, which is transported to a large collection conveyor where, at the latest, it is mixed. With its new sorting technology, STEINERT is mainly addressing processors of new scrap or production waste. Such companies are basically interested in a type-specific purification of the alloys, because material sorted by type can be sold at a premium. Meanwhile, the sorting specialist is negotiating with a metal recycler who receives fabrication waste, concerning a pilot operation for production-relevant throughputs. For the metal recycler this sorting process by means of laser spectroscopy can pay for itself financially in a relatively short time. According to data from metal recyclers proceeds between 300 and 400 euros per tonne can be obtained by sorting the aluminium scrap into pure fractions. This compares with sorting costs of 20 to 30 euros per tonne when using sensor-assisted equipment. The unit offered by STEINERT achieves an output of several tonnes per hour. “Yet, even with an output of just one tonne per hour, with 300 euros of additional proceeds and an operating time of 8,000 hours per year the additional proceeds amount to 2.4 million euros,” calculates Habich. In this example calculation, the unit would pay for itself in around half a year. A conservative approach allowing for a more modest premium still gives a payback time of less than a year. To begin with, STEINERT’s new sorting technique is aimed at new aluminium scrap. With increasing recycled quantities of wrought alloys from scrapped automobile recovery, however, the technique should become more and more interesting for old scrap as well. Yet, even today the major vehicle dismantlers generate relevant amounts of wrought aluminium alloys for which the acquisition of sorting equipment that uses LIBS technology should prove profitable. LIBS (Laser Induced Breakdown Spectroscopy) is the measurement method by means of which the material being sorted is identified. In this type of laser spectroscopy a high-energy laser pulse is directed onto the specimen to be investigated. This vaporizes a minute particle of the material at the surface and a plasma is produced, in which atoms, ions and molecules are in a higher-energy state and therefore emit light. These emissions are collected by means of optical components and sent to a spectrometer. In the spectrometer a wavelength-dependent spectrum is produced, which contains significant atomic lines of the elements in the specimen material. A major advantage of LIBS technology is that the spectral intensity of the atomic lines is proportional to the concentration of the elements in the specimen. Accordingly, the LIBS measurement method can be used for quantitative element analysis. LIBS is a multi-element analytic process. From each individual spectrum measured, the concentration contents of all the elements present in a specimen can be determined. Moreover, short measurement and analysis times are further advantages of using this technique under industrial process conditions with a high quantitative throughput. As a rapid analytic method for aluminium alloys, manual LIBS instruments already provide a reliable method that is appreciated by scrap traders and processors. In the last ten years the core components of LIBS analysers have been substantially developed further, they have become more robust and compact, and they are also cheaper. For the characterization of chemical composition in the sector of metal recycling robust measuring lasers are used, which operate with repetition frequencies between 20 and 100 kHz with constant laser power. Thanks to the resulting short measurement times, even small objects can be measured at conveyor speeds up to 3 m/sec, analysed and then sorted. To ensure independence in relation to changing shapes and heights of the measurement objects while maintaining high analytical accuracy, the optimum depth of field is adjusted automatically before each individual measurement (auto-focussing). Optionally, the function of pre-cleaning (of the measurement path) can be used by incorporating a second laser. 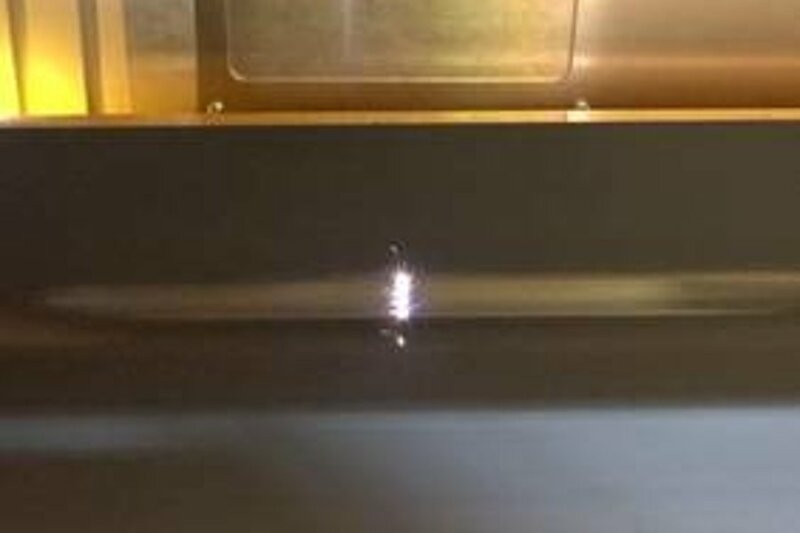 In this configuration the pre-cleaning laser removes surface material within a specific path. Subsequently, the analysis laser is directed exactly onto this path. With this method many types of coating are removed before the measurement, for example paint coatings or anodic films. Accordingly, the use of a pre-cleaning laser increases the analytical accuracy. Calibration methods stored in the measurement unit routinely analyse the concentrations of the alloying elements Cu, Fe, Mg, Mn, Si, Zn and Cr. The concentration ranges available are adapted to the specifications of EN573. If the customer so wishes, the analysis can cover additional elements. With reference to the results, the object is then assigned to a customer category (here, in particular to an aluminium group). The STEINERT LSS sorting unit provides a technology that contributes toward further completing the raw materials cycle and obtaining valuable metal products without downgrading in the production cycle. The method is a fully automated sorting system for scrap, especially broken-up stamping wastes from the aluminium industry. 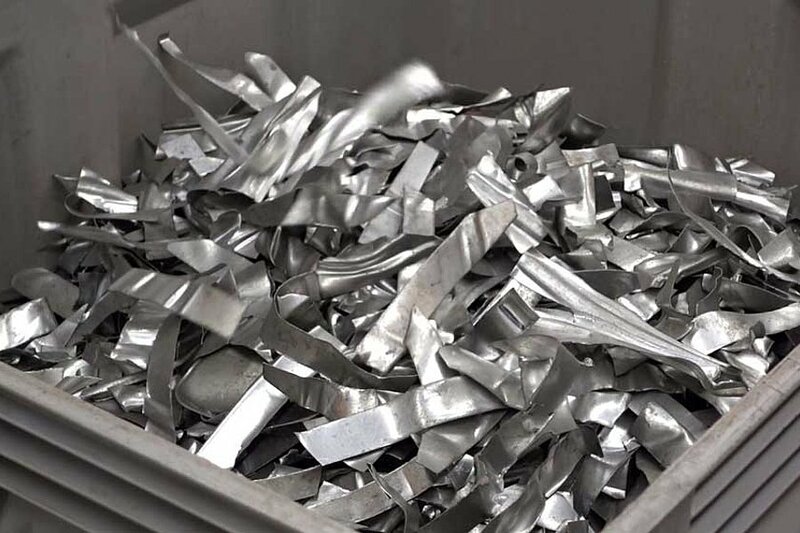 It separates aluminium alloys of the 5xxx and 6xxx series into type-isolated batches and is ideally suited for stamping waste material 20 to 60 mm wide and 60 to 150 mm long. The sorting system consists of the LIBS sensor, a special isolating mechanism, clearing modules for the pneumatic separation and a conveyor system with volumetric object recognition developed precisely for this application. The STEINERT Test Centre in Cologne offers LIBS technology tests. Inquiries can be directed to Karl Hoffmann, business development manager at STEINERT karl.hoffmann(at)steinert.de. 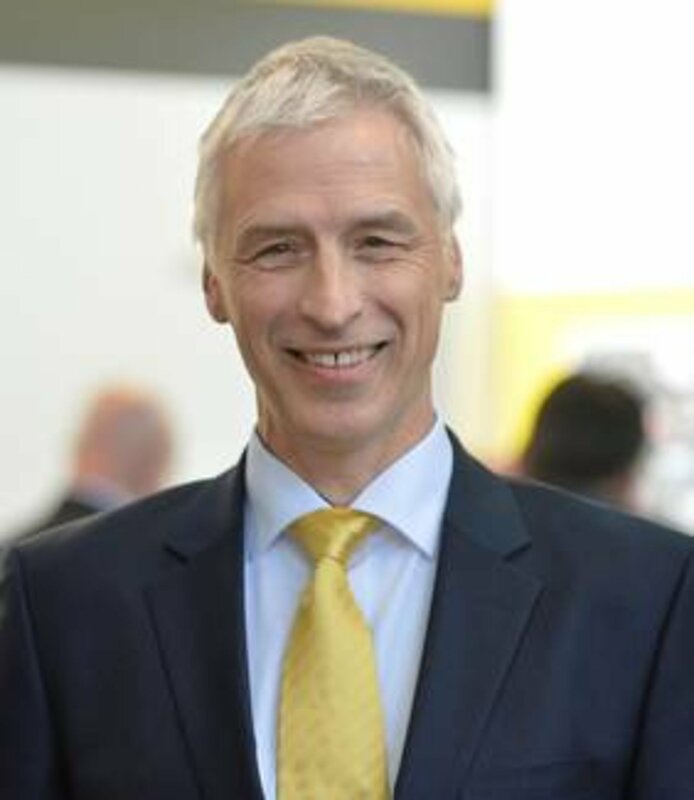 STEINERT will present the LSS sorting system during a speech at the Forum of Aluminium 2016 on Thursday, 1 December 2016 (12 noon). The ALUMINIUM Forum will be located at Stand 11J75 in Hall 11.